The agreement was signed by Russian Energy Minister Aleksandr Novak, Ukrainian Energy Minister Yury Prodan, and vice president of the EC in charge of energy, Guenther Oettinger. The signing was witnessed by European Commission President Jose Manuel Barroso and the EC’s new vice president in charge of energy, Marosh Shefchovich. Ukraine will be able to receive the needed volumes of Russian gas until the end of March based on a pre-payment plan at a price of $378 per 1,000 cubic meters, Oettinger said during the press conference. According to Oettinger, Kiev will be able to pay back $3.1 billion of its gas debts before the end of the year. However, he added that the final figure will depend on the decision of the international Stockholm court of arbitration on the gas debt dispute. Ukraine will get the money it is lacking with the help of the International Monetary Fund (IMF) and the European Union, the EC official announced. Oettinger expects that the promised financial assistance from the IMF and the EU will be used by Kiev to pay for Russian gas. “The advantage for Ukraine is that it confirms the role of a reliable partner in the center of Europe and IMF and EU’s programs of assistance would be used correctly to pay its gas debts,” Oettinger stressed. 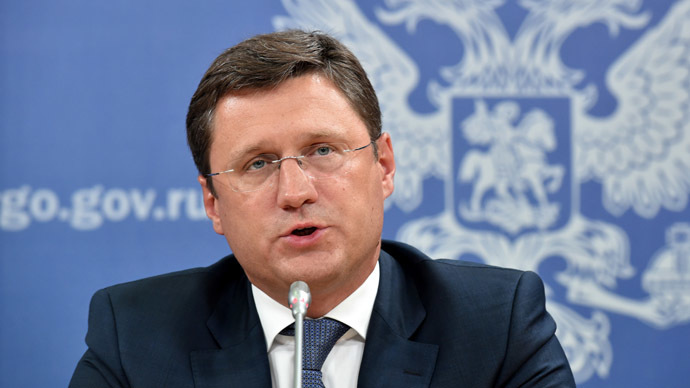 Gazprom will not enforce take-or-pay mode for Ukraine from November to March, Novak said, adding that Russia has given Kiev a discount of $100 per 1,000 cubic meters of gas. 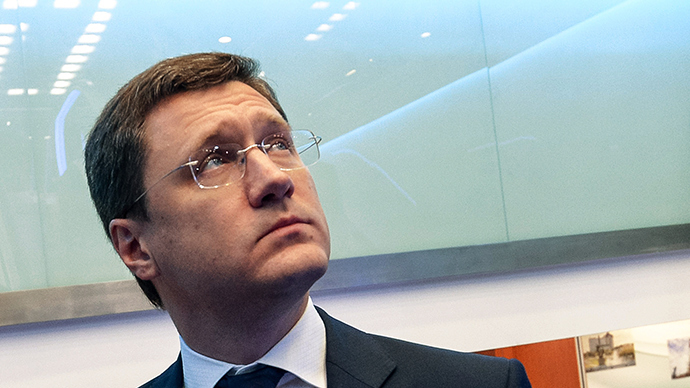 Novak stressed that summer gas prices for Ukraine were not discussed during the meeting in Brussels. He stated that the figures announced by Ukrainian Prime Minister Yatsenyuk earlier must have been a forecast. Novak explained that unless a new deal is negotiated on the summer price for Ukraine, from April onwards Gazprom will be charging Kiev in accordance with the contract – which is $485 per 1,000 cubic meters of gas. “We proceed from the fact that the contract is still valid. No one has erased it. So unless some talks on the price take place, starting from April 1 the price will simply be in effect in conformity with the contract,” the minister said. 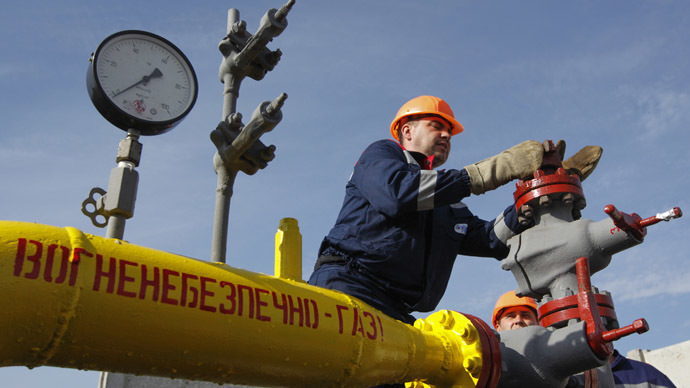 Russian Energy Ministry confirmed the agreement on necessary documents for the winter package of Russian gas supplies to Ukraine. Ukraine's Energy Minister Yury Prodan also stated that the gas agreement on supplies of gas to Ukraine between Russia, Ukraine and the European Commission has been reached. Thursday’s meeting in Brussels was another attempt to settle the gas dispute between Russia and Ukraine. The parties have been struggling to agree on the final gas price and the payment schedule. While Novak said earlier on Thursday that key parameters of the gas deal, including a $385 price, had been agreed, it had remained unclear where Ukraine was going to get money. Before the deal was reached, Gazprom left Brussels insisting Ukraine and the EU must first agree on the financial points between themselves. Russia rejected all payment schemes proposed by the EU, saying all of them were a hidden form of another gas loan to Ukraine. 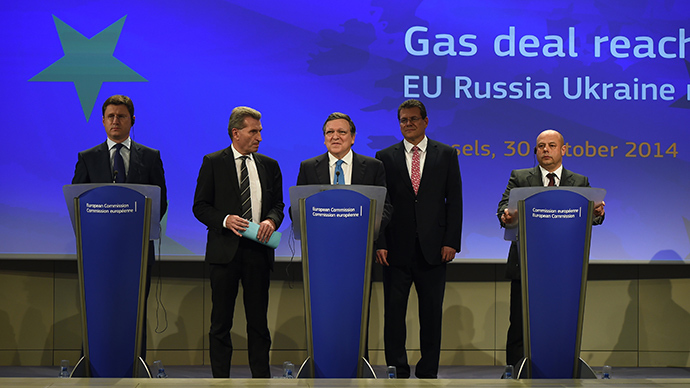 Having smooth gas supplies from Russia is crucial for both Ukraine and the EU. 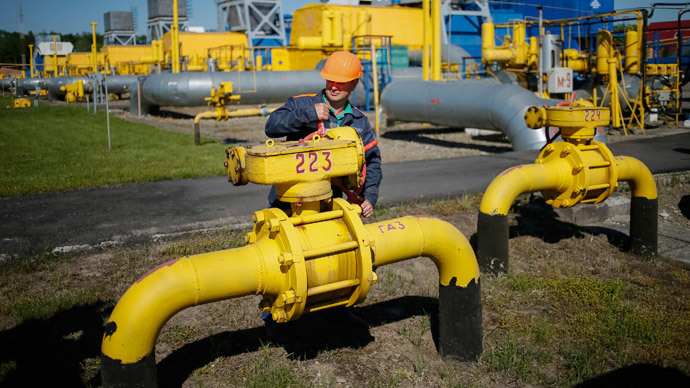 Kiev needs around 4 billion cubic meters of Russian gas to survive the coming winter, and over 15 percent of Russian gas to Europe travels via Ukraine. Ukraine's multibillion-dollar gas debt: Who pays?